Port side of SC 93, in dry dock, Corfu, Greece. G. S. Dole Collection. 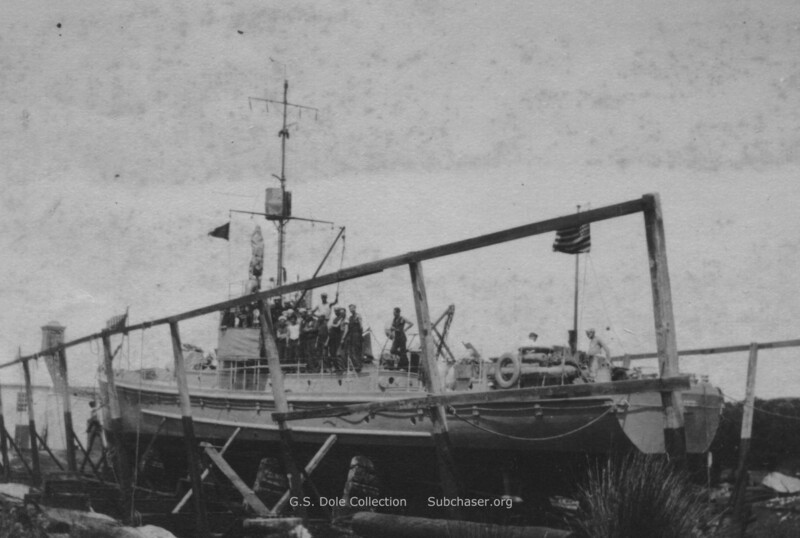 Research suggests that the steel cable skirting the hull and attached on blocks is a towing harness that was used during the voyage overseas. It was removed at Corfu, and does not appear in most of the war time photos. Therefore that feature is one that would be appropriate only on a model intended to show a chaser on its early voyage overseas.